Old trees, or trees that have become a stump because they have not been correctly removed can begin to cause problems if they are not treated correctly. To get them removed and cut down from your garden call 07957 388 285 today and speak to Essex Garden Care. Old trees are prone to becoming unstable and could easily fall down and hurt someone. If you notice a large tree in your garden that appears to be dead, contact us to help remove it. Likewise, with large stumps that have been left in a garden, although if they have not started to rot they could be used as additional seating. Contact us if you are interested in having a garden seat created out of an old large tree stump. You might find that an old tree or stump could become home to fungi or a root disease, which in turn might then infect localised plants and fauna. This is best avoided and the simplest solution would be to remove the old tree or stump. If you have taken control of an overgrown garden yourself, but now find yourself in a position whereby you have, you are left with a large stump of a tree and that takes up a large percentage of the available space in the garden, it would be best to use our services to either reduce the space that the stump takes up or remove that stump entirely. Give Essex Garden Care a call today for more information. 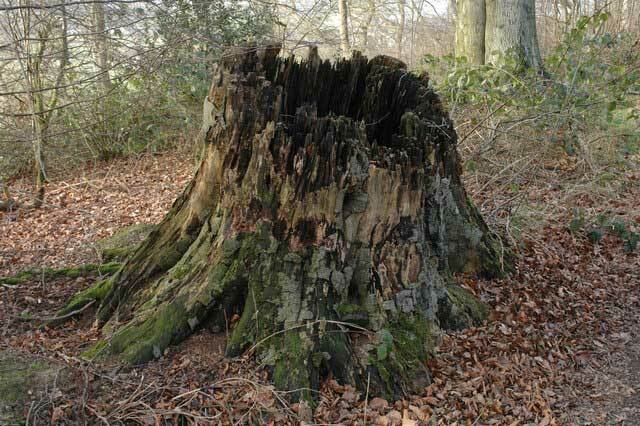 Old dead trees and stumps are ideal places for a haven of insects to settle and infiltrate. The last thing that you would want in your garden is to have a wasp or bees nest, that prevents anyone leaving the house in the summer for fear of being stung. You would then be left with having to contact both an insect termination company to removing the infestation of insects and then a garden company to come and clear out the dead tree or stump. Take preventative measures, by contacting us today to make sure the outside space does not become a haven for any insect colony. To find out more about dead tree removal and clearance of tree stumps, give us a call on 07957 388 285 today, leave a message if we do not answer.